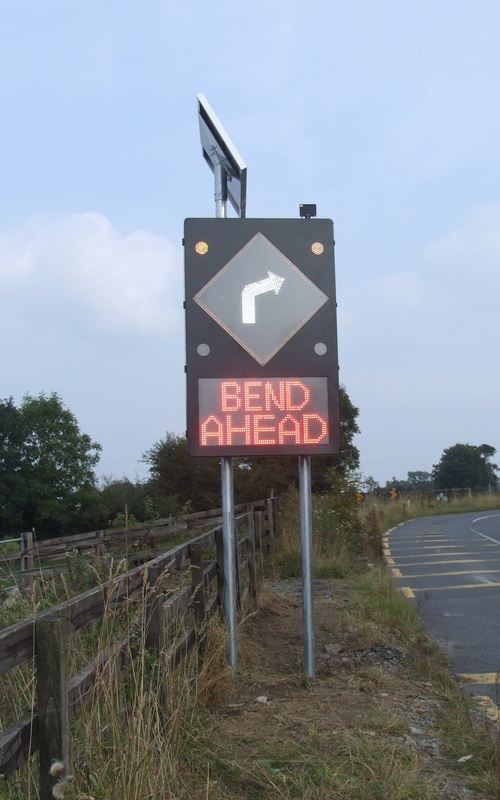 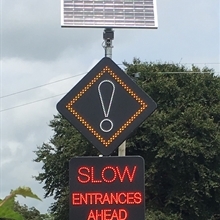 PWS offer a range of Vehicle Activated Signs in both mains and solar/wind powered for a wide variety of road safety applications.. Each sign is designed unique to its location to provide advance warning to motorists about potential hazards ahead such as sharp bends, crossroads, roundabouts, low bridge etc. 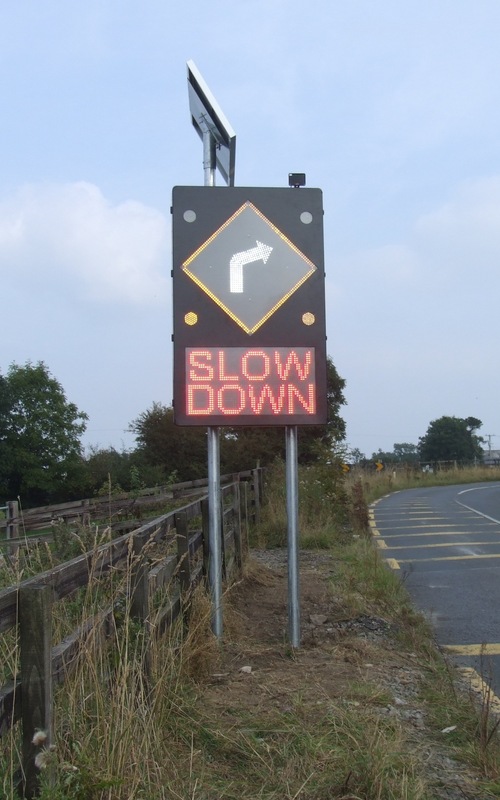 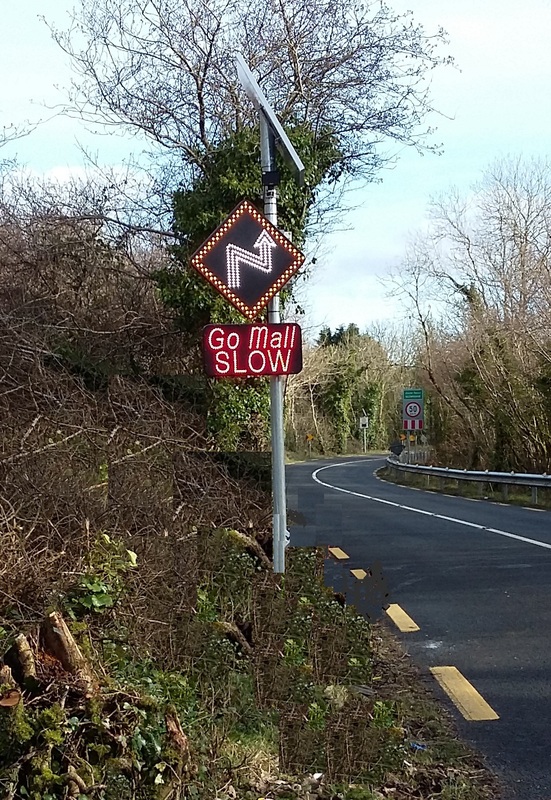 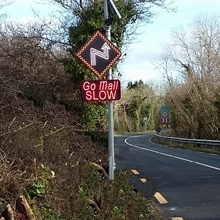 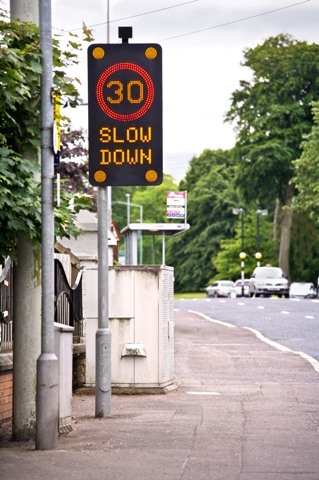 Generally, Vehicle Activated Signs (VAS) are configured only to display when activated by a vehicle which is travelling in excess of a pre-determined approach speed. 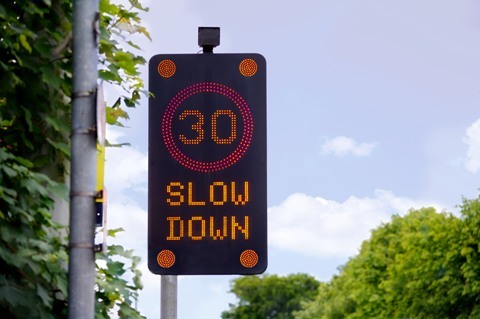 In order to warn that motorist to slow down, the signs’ in-built radar detects the speeding vehicle well in advance, and immediately activates the sign, providing a bright and highly visible warning to the motorist about the hazard ahead. 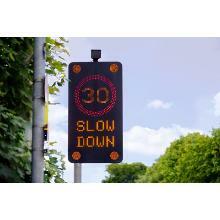 Data collection on all approaching vehicles is available by the radar for both local and remote viewing & analysis. 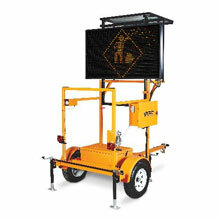 VAS are proven to reduce vehicle speeds and substantially increase safety at hazardous locations. 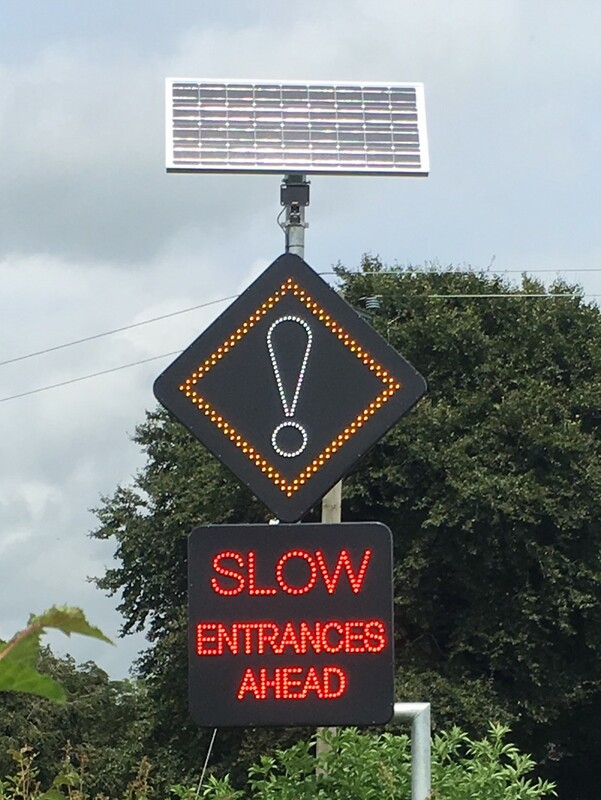 PWS offer a consultancy and design service for VAS as well as a full installation service, including all Traffic Management and PSCS requirements.